I'm a weirdo when it comes to garage sales. Give me your tired, your poor, your broken furniture and huddled antiques. When I see a garage sale piled to the top with unwanted junk, I get excited! But I am in the minority. Most people want a garage sale to feel very similar to what they are used to in a store. Your buyers want to feel like you've spent time catering to them and making their shopping experience enjoyable! 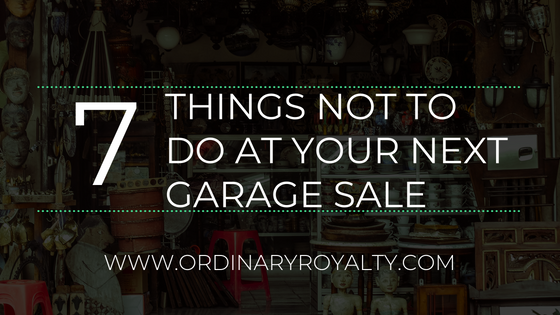 There are a few things that I, as a buyer, HATE when I see garage sales, and much of it isn't what you would expect! So I have a list of things NOT to do at your next garage sale. Instead, give out free water or coffee depending upon the weather. Yes, this sounds like more work for you, but not if you have your kids man it! People will stop JUST FOR THE FREE STUFF, and hopefully find something they want to buy in the process. There are times I've had to leave a garage sale prematurely because I was thirsty or freezing. Studies have also proven that people are more likely to buy your stuff if you make their experience more pleasurable. Ever walked through a Sam's? Bingo. 2. Don't sell every piece of clothing that you don't want anymore. If there are piles of clothing, I am not going to spend my time rooting through them (even if I can fill a bag for $2). I have enough trouble finding things that fit in a store! Like I'm going to dig through your piles...please. No one wants your thrift store sweatpants. Instead, sort through the clothes and find the 10-15 best pieces of clothing from each person in your family and send the rest to Goodwill. I'm far more likely to approach clothes when I can tell you are selling quality pieces. And, goodness, hang them up! Shoot, I will drive right past a garage sale that has nothing but clothes! Don't chase away buyers with your mounds of clothes. 3. Don't let your shoppers get lost! Yes, you may have a sign on the main road with your address and times, but I can't read that mess at 40 MPH! If your sign is small, dull colored, or hard to see, people are going to keep driving. Also, don't buy the tiny pre-made signs from Dollar Tree. They are garbage. 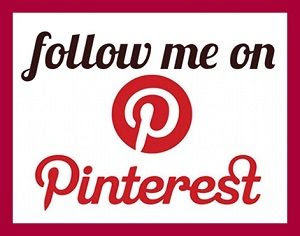 Instead, buy brightly colored poster board and make your signs fun! I'm always excited when I see good signage. Most importantly: put signs at EVERY turn they need to make. There is nothing more depressing than getting to a fork in the road and not knowing which way to turn. The trail stops there for a buyer. They aren't going to go BACK to the sign, get the address, plug it in their GPS, and try again. They will give up. 4. Don't leave all of your items in the garage or, even worse, your backyard! Instead, man/woman up and lug it out where people can see it from the road. It feels sketchy to walk into a stranger's garage or backyard and your main buyer (women) don't want to feel like they may get jumped while trying to buy a bookshelf. Spread it out in your front yard so it is easily visible. And for Heaven's sake, put your best stuff in the front. 5. Don't price like Macy's. Your stuff has no tags. It's been used in your home. When the tags come off (no matter if it was used only once), the price drops by a third. It's not even worth retail WITH tags. If your shoppers wanted to pay full price, would they be at your garage sale? No. Instead, think of a garage sale as getting rid of things instead of making money. If you don't sell it, it's going to Goodwill anyway, right? Better to make a $1 than nothing. Take what you paid for the item, divide that by 3 and then deduct based on condition/age. Ex. You paid $30 for your lamp. If it is in perfect condition, price it at $10 and expect to be bartered down. Always expect to be bartered down. If the lamp has a mark where your 4 year old experimented with a Sharpie, mark it down further. The ultimate goal is to have someone pay to take your crap. 6. Don't smoke or have your pets outside with you. I don't want your secondhand cancer while I'm shopping. Also, people see smoking and pets as a sign that your items will be dirty. They don't want to buy things that smell like smoke or are covered in cat hair. Instead, clean up your items so there is no trace of pets or smoke. Only crazy people (guilty) will buy a cat fur covered rug and work to get it cleaned. 7. Don't have a garage sale if you don't have enough items to sell. It's sad to drive by a garage sale with 3 end tables and a stack of Reader's Digest books. People will keep driving because it's not worth the time to get out! Instead, get some friends or family to join in with you. The more stuff, the more likely people are to stop. Not only that, having family there makes it more fun. If you only have a few items, sell them (or have your grandson help you sell them) on Facebook marketplace. There you have it! 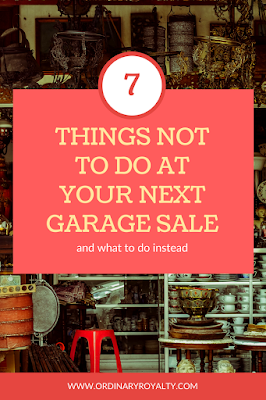 A few non-traditional thoughts on what not to do at a garage sale. 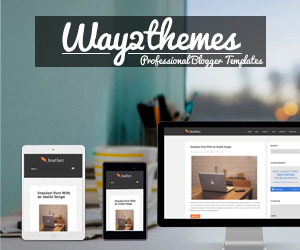 Yes, there are a bunch of traditional ideas as well (sort things, price things, etc.) For those, I'll send you to Now That's Thrifty and her article How to Have a Successful Garage Sale. We've repeated some of the most important ideas, but these two articles will have you on your way to a great garage sale! What drives you nuts about garage sales? Comment below with some suggestions for our friends who may be having garage sales this weekend! As someone who goes to a TON of garage sales, I can't buy lemonade from every kid who offers, and I feel bad turning them down. There are so many other ways to have kids participate besides pestering people to buy lemonade! Such great tips! My family used to have garage sales nearly every weekend when I was younger. I think we did most of the things you say not to haha except for the lemonade! Phew. :) We definitely had our pets out greeting potential customers, though. Personally, I love having pets come out to greet me! But after doing a survey of what people didn't like about garage sales, you would be surprised how many people didn't like pets at garage sales! These are some really great tips! I think kids selling lemonade is adorable, but that might be because I have some of my own and I am not afraid to tell pushy kids no and back off. I agree totally about having the items out in front and the best stuff up front... and the pricing... THANK YOU! If I am shopping at a garage sale, I'm not paying top dollar. Also, I am not going to stop if I can't see it out front. These are good tips! I'll keep these in mind the next time I have a garage sale. Nothing irks me more than trying to find a garage sale and getting lost because the signage is pathetic. This is really good advice for anyone who is going to have a garage sale Ashley! Personally the anti smoking and anti pets thing is just rude. Anyone who doesn't wash the items that they purchase at a garage sale is just asking for it tbh (like a lot of second hand stores they don't always wash things they put out clothes wise especially if it has been stored. I agree with the sign thing I wont hunt one down and waste my gas on signs they could have left up from previous weekends. Also biggest thing that irks me is not pricing things. or 4 different prices for the same item. Its your sale I don't want to be told a buck then have to pay 10 when I pay for it. These are actually really useful tips. We have a bunch of stuff that we need to sell, but have yet to put together a garage sale to actually do it. Knowing the best practices to actually make it worthwhile for people helps out a bunch.